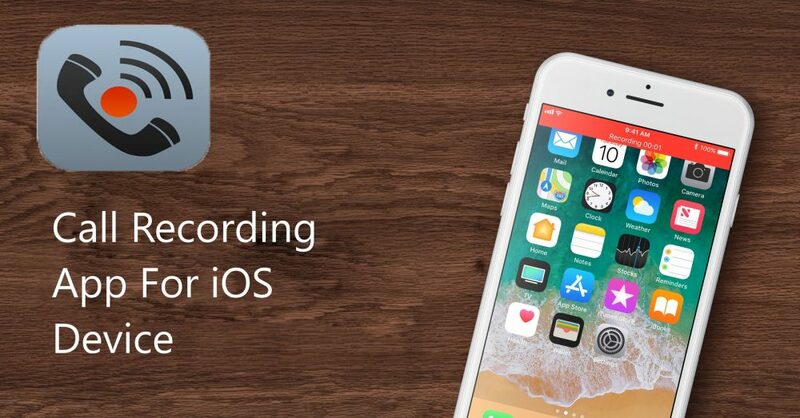 Call recording app for iPhone free – Hello guys, today I’m going to tell you about call recording app free for iPhone or iPad that you can download on your iPhone or iPad without the jailbreak. guys, as you all know that smartphones can help us to hail cabs, order anything even detecting our heartbeat. So maybe all of you think that call recording is also easy on the smartphones. sadly, it’s not as easy as merely pressing a button on your smartphones and especially on the iPhone. To do it, you have to need to install an app and there are tons of apps or web that claim to teach you how you can recording call on your iPhone. but few of them live up with the claim. So to find the solution to your problem, I’ve searched the internet and after facing of lots of fake apps and web. finally, I’ve found an official app that helps you to recording calls on your iPhone and iPad. now without wasting any more time let’s go further and talk a little bit about that app. Actually, call recording is more important in the business. Entrepreneurs save call recording for the information. Also, call Entrepreneurs can use the call recording app for the proofs and business discussions between the entrepreneurs and their clients. Call Recorder – IntCall( Call recording app free for iPhone ) is that app that helps you to record calls on your iPhone and iPad without the jailbreak. In my opinion, this is one and only best call recording app free for iPhone. you can run Call Recorder – IntCall on your iOS 10 or later. now let me tell you guys about the features of this app. You can use this call recorder for the national and international calls. all calls will be saved on your iOS device. You can share recorded call with WhatsApp. You can play the recorded call on the phone. also, you can send those calls via email. Also, you can set a title for each recording. So that’s it for this article guys. thank you for reading this article and being with us. guys, as you know that we have always try to write our best in our article. but if still, we have done some mistakes then please forgive us. hope, you will like this article. So if you like this article then why don’t you share this amazing article with your friends, family members, who are worried about the call recording app free for iPhone and tell them about this amazing app. Also, don’t forget to visit daily on this website. because we update here everyday new and helpful articles like this one or you can like our Facebook page then you will never miss any upcoming updates. now I’ll see you guys on the next.